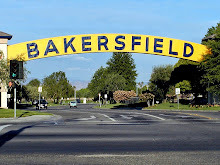 * ... DRILLER-GAUCHO CABAL: I received a long, thoughtful and witty email the other day from Daniel Ketchell, who was eager to weigh in on the "brain drain" of local young people who leave Bakersfield and never come back. Daniel is a graduate of Bakersfield High and UC Santa Barbara and the son of Marsha and Gary Ketchell. Marsha is a former teacher at McAuliffe Elementary and now principal at Berkshire Elementary. One of my daughters was blessed to have Marsha as a teacher at McAuliffe; she's truly one of our community's outstanding educators. Daniel says though he now lives in Sacramento - he's just 25 - he may return one day. 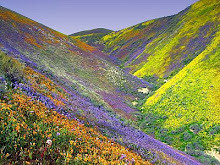 "I haven't thought about it too much but I'd love to end up in Bakersfield at some point. 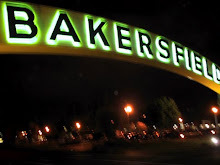 I hope that as the city grows (and it's obvious from your blog it is growing up every day), more and more people my age will feel the same way and come home to help Bakersfield keep moving on up. Also, while we're at it, two other former Drillers are hiding up here in Sacramento and are not on your list. It's my duty to rat them out. Jon Bertran-Harris (BHS 2002, UCSB 2007) and Ben Tragish (BHS 2005, UCSB 2009) That's right a Driller-Gaucho cabal." * ... DOWNTOWN RENAISSANCE: It was another successful First Friday in the downtown arts district, the latest in the rebirth of the central business district. If you gave up on downtown years ago, it's time to give it another look. 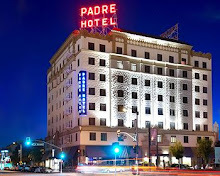 The opening of the Padre Hotel and newer upscale restaurants like Enso sushi bar on 19th Street have joined longtime venues like Uricchios Trattoria, theWall Street Alley and the new arts galleries to give the area a new charm. Among those folks I spotted out and about were Lou and Sheryl Barbich, Mel and Darci Atkinson, Bruce and Jane Haupt with daughter Alyse, Michelle Mize, Barbara Reid, Joe and Mimi Audelo, Lisette Stinson and Kim Jessup, David Gordon, Scott Garrison, Jan Bans, Wendy Wayne and Gene Tackett, Bill and Sharon Thomas, John and Ginger Moorhouse, Joan and Bernie Herman, Dr. Javier and Laurie Bustamante, Lance and Jan St. Pierre, David Coffey, Jim Scott and Bart and Napier Hill. * ... GARCES GALA: The folks over at Garces Memorial High School are preparing for the Garces Gala this Saturday, the Catholic school's annual black tie fund raiser featuring cocktails, hors d' oeuvres, live and silent auctions, dinner and dancing. This is a huge event for the private school and special events coordinator Desiree Adams tells me it will be "new and improved" from previous years. The theme this year is "Polynesian Paradise." My older daughter is a proud Garces grad and I've attended a number of these galas. The highlight for me is the annual auctioning of a sweet puppy at the end of the evening when the crowd is "loosened up" and the wallets come open. Tickets are $125 each and it all starts at 5 p.m.
* ... CIOPPINO: Speaking of fund raisers I attended the annual Cioppino Feed at Garces Memorial High School Saturday night. This is one of my favorite charities, not only because of what it benefits but also because of its sheer unique character. More than 500 folks dined on fresh steamed clams, salad and cioppino fish stew. Sponsored by the Bakersfield West Rotary Foundation, this annual event has supported a number of well deserving charities. Hats off to the many West Rotarians who made this happen, including Mike Rubiy, David Gay, Rick Kreiser, John Falgatter, Jim Darling and so many others. * ... BAKERSFIELDISM: Reader Esther Brandon spottted a Bakersfieldism and submitted it: You know you're from Bakersfield when you "drive by an estate sale at a mobile home park."